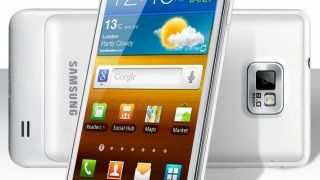 Samsung Korea has confirmed that the popular Galaxy S2 smartphone will get an infusion of Android Jelly Bean. The company revealed details of the update on its official site, but did not say when exactly the refresh will become available to Galaxy S2 owners. Among the new features are Google Now and the Android Project Butter. It'll also have built-in Google+, Google Play Books and Google Play Movies. The update will, however, take up an extra 1GB of storage on the Galaxy S2, thanks to a new system partition, and will take an hour to download when it finally arrives. Alongside the Jelly Bean update, Samsung is also bringing some of the tech it introduced with the Galaxy S3 last year. S2 owners will get the Smart Stay feature, which prevents the screen from timing out when you're looking at it, while the Camera app will allow users to pause recordings. It'll also get the Pop-Up Play functionality, allowing users to continue enjoying video while emailing, texting or browsing the web, etc. So, a new lease of life is on the way for one of the best handsets of the smartphone era. Now its just a waiting game and, as is often the case with Android updates, it could be quite a wait yet.